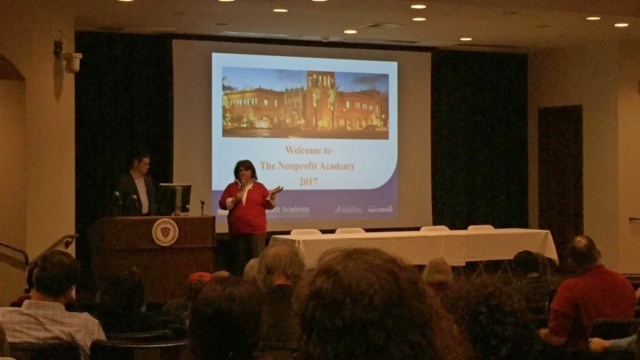 Join us for the City of San Diego Nonprofit Academy, a two-day comprehensive program presented by The Nonprofit Institute at the University of San Diego and sponsored by the City of San Diego. An award-winning educational program, the City of San Diego Nonprofit Academy is designed to educate local nonprofit leaders in ways to maximize their operational efficiency, better compete for grant funding and potentially partner with the City of San Diego in its ongoing programming targeting residents and neighborhoods most in need. All featured core courses and electives are taught by leading nonprofit management experts. All classes will be held at the School of Leadership and Education Sciences (SOLES) on the University of San Diego campus. Participants will receive educational materials. Organizations that complete all core courses will receive a certificate of completion. This year, join your nonprofit colleagues for a networking opportunity directly following Thursday’s workshops. Enjoy free beverages and appetizers while we enjoy a beautiful view of San Diego from the West Plaza! Below you will find sample materials from the last Nonprofit Academy session in PDF form.